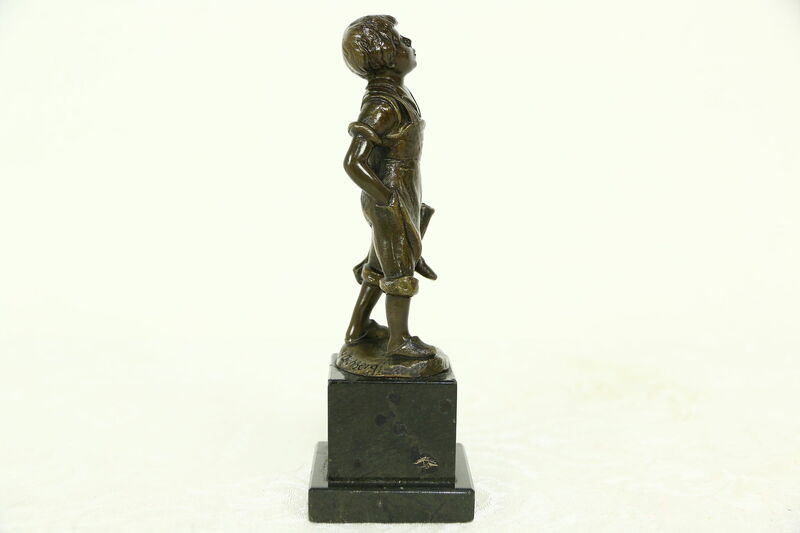 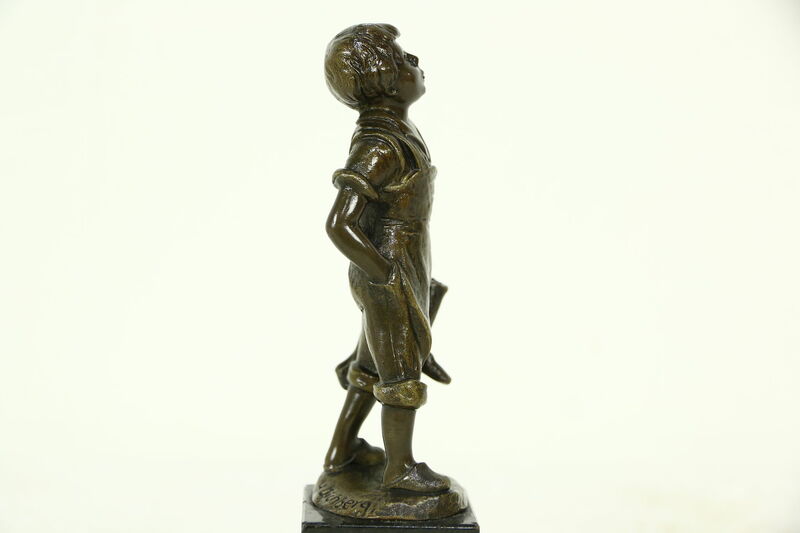 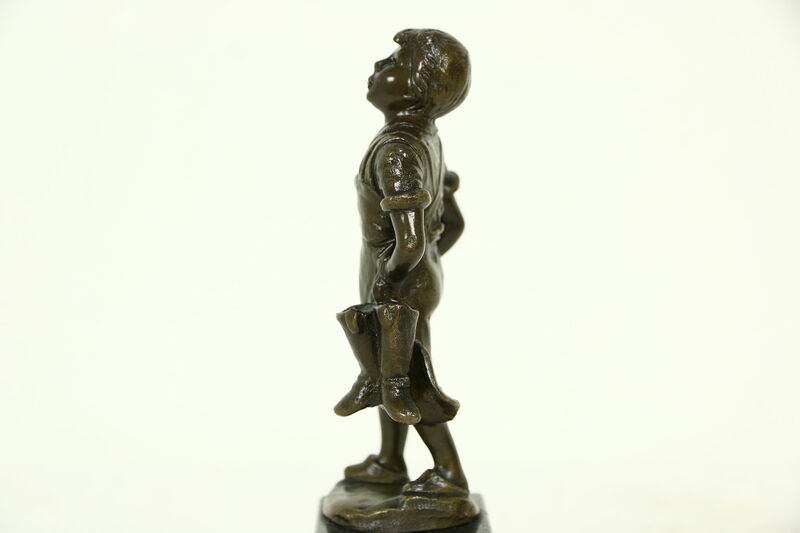 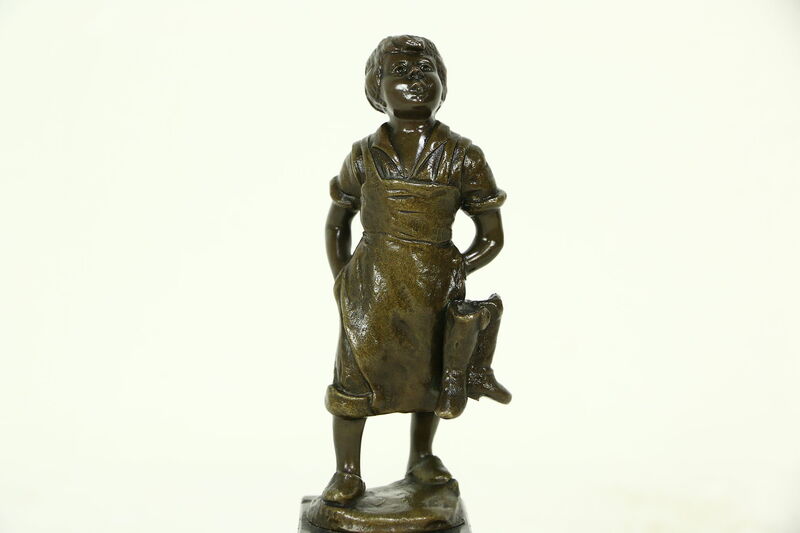 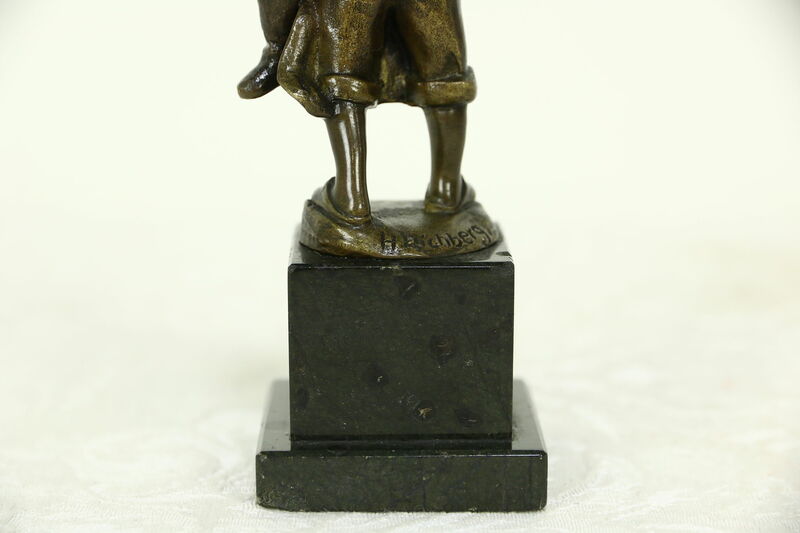 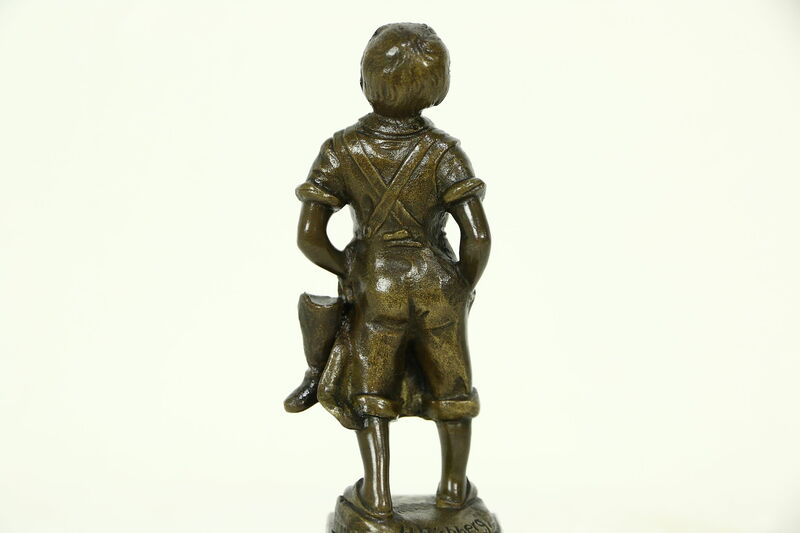 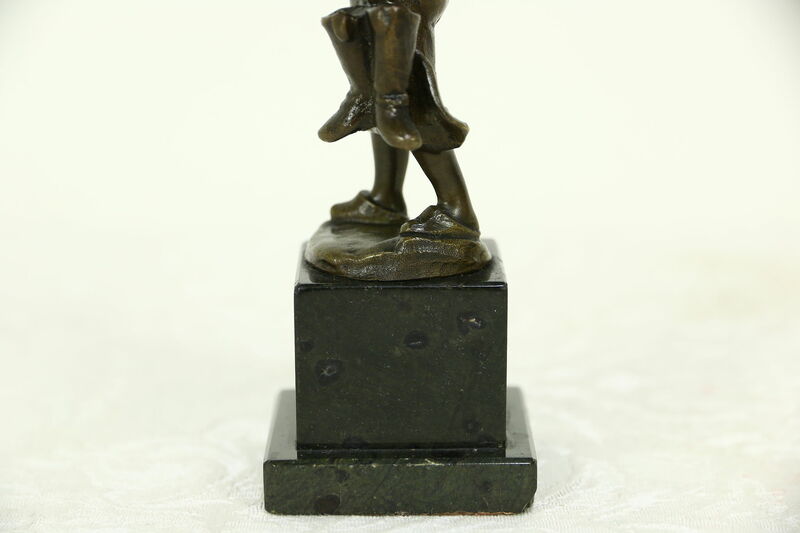 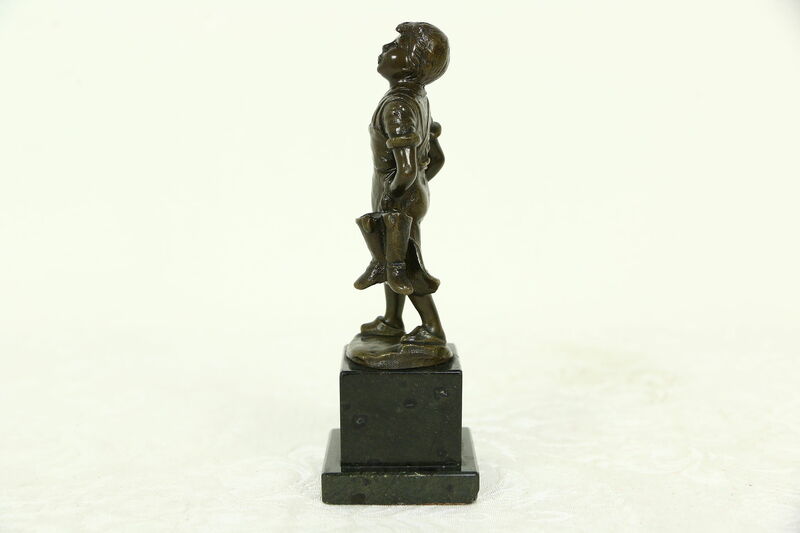 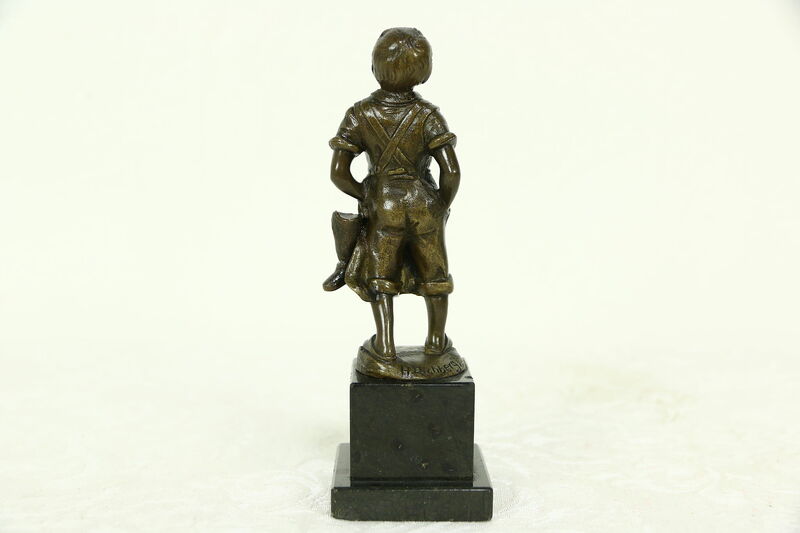 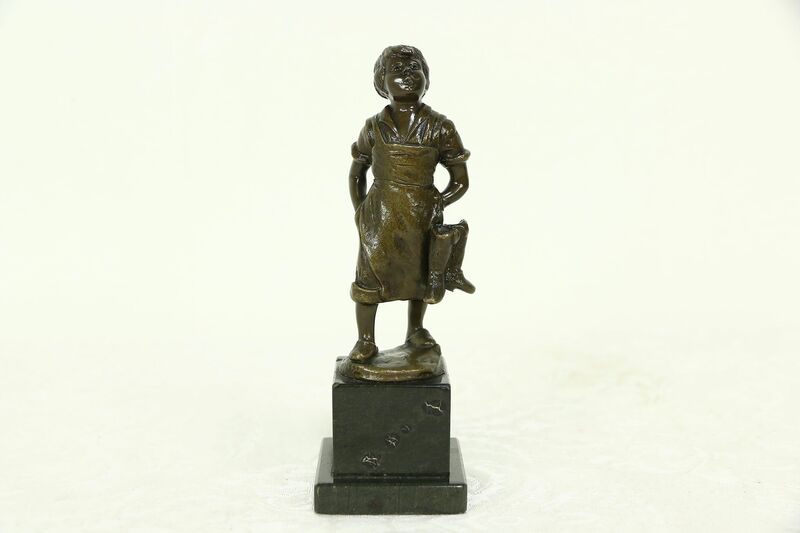 A small statue of a young girl wearing clogs and carrying her boots is signed "H. Eichberg" and dates from around 1900. 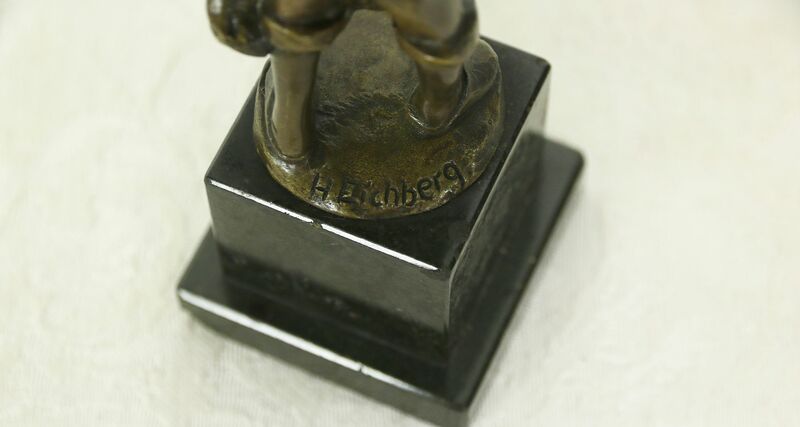 The noted sculptor, Herman Eichberg, worked in his native Germany in the early 1900's. 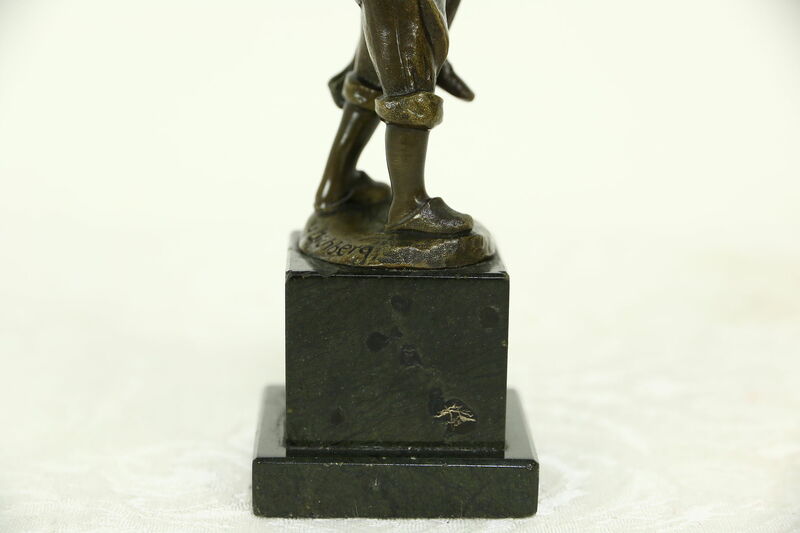 There are chips on the marble pedestal of this work of art, see photos. 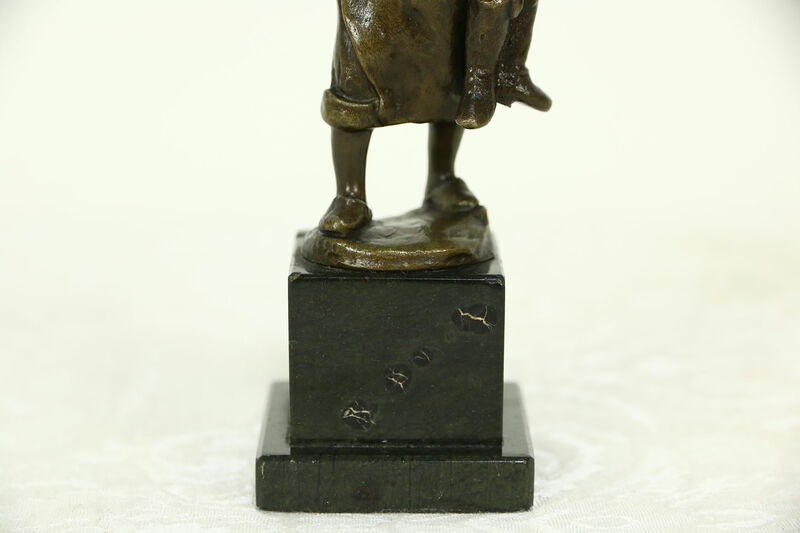 Size of this sculpture is 1 3/4" x 1 3/4" and 5 1/2" tall.